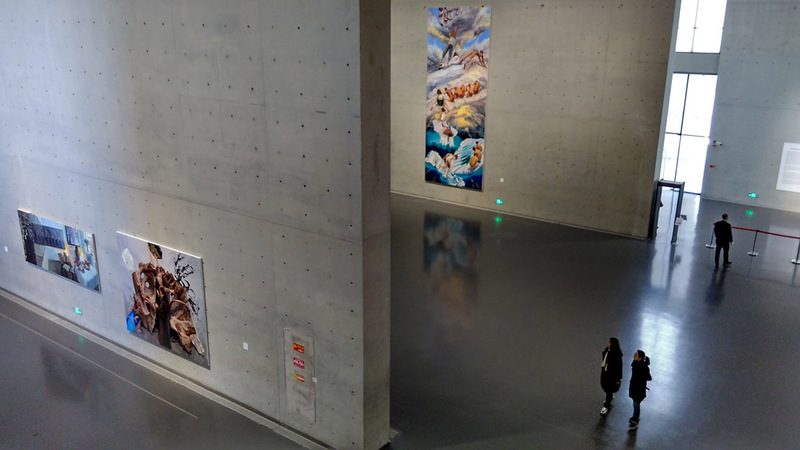 Underground there was the show “Pioneering – Chinese artists abroad in France and Chinese modern art”. 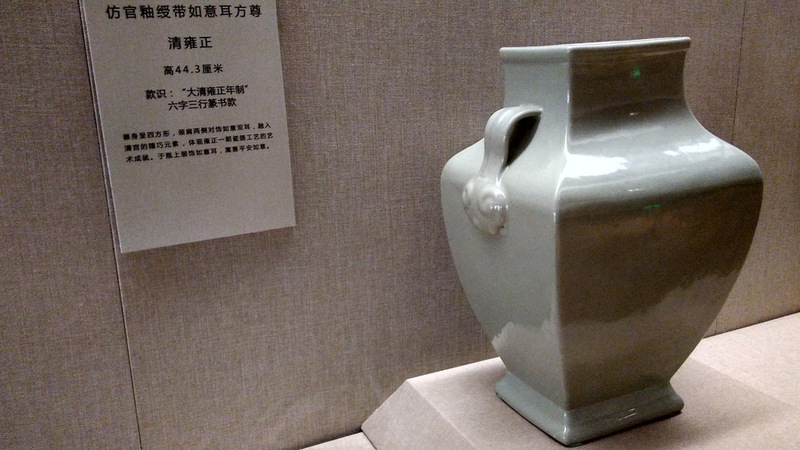 Without much explanation, the works did not look very enticing, even though I guess they laid the foundation for later generations of Chinese artists. A number of canvases (the majority of works were oil paintings) was is a rather bad state – probably they were stored rolled up in a cellar somewhere for decades before being re-mounted on frames. 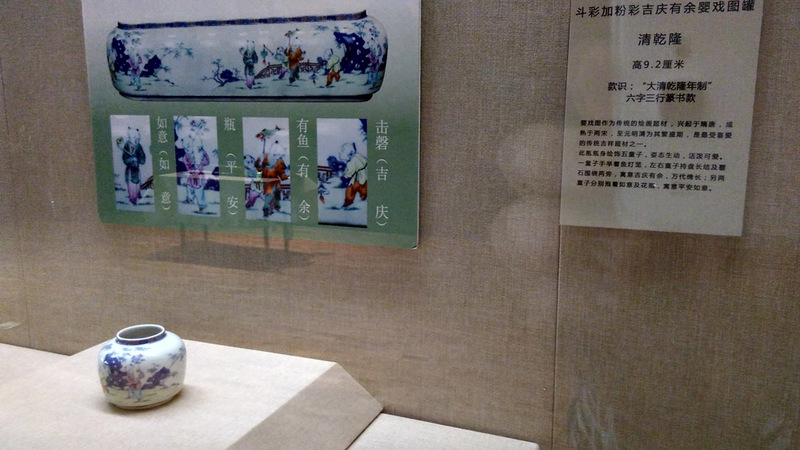 Next to this exhibition, there was the ancient art collection (jades, porcelain, some ink paintings, all excellent works), including some “old friends” that I saw a few months ago at Long Museum Pudong. But this time the lighting was much dimmer, it was close to impossible to observe some works in detail. It seems the works move between these two locations (Pudong and Puxi branch). Overground it was a bit warmer than in the cellar: The large halls were devoted to large scale (and small scale) paintings by Yu Hong (喻红). Yu Hong comes from a traditional social realist painting education and I can imagine she started off by painting brave soldier and Mao Ce-Tung in Yan’an scenes during her training. But times have changed, and Yu Hong applied her painting skills to the world around her, especially people around her. She paints fellow artist friends, family, and herself. 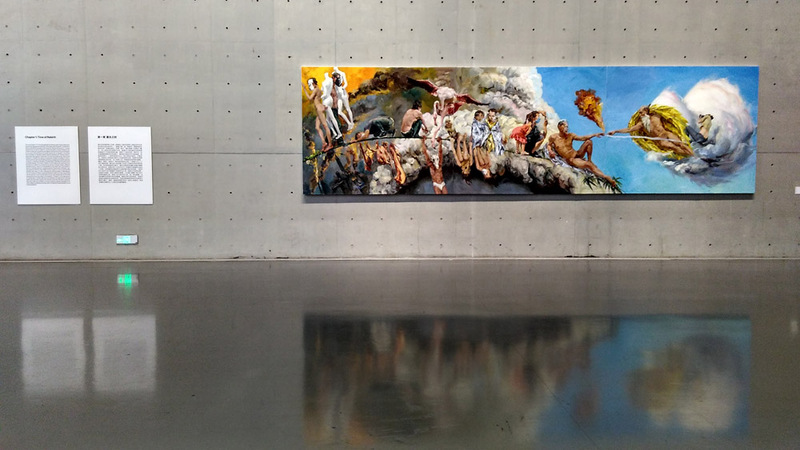 Sometimes the bodies are assembled to larger dream-like compositions reminiscent of classical European paintings. Some paintings are more portrait-like, e.g. a series of fellow artists. 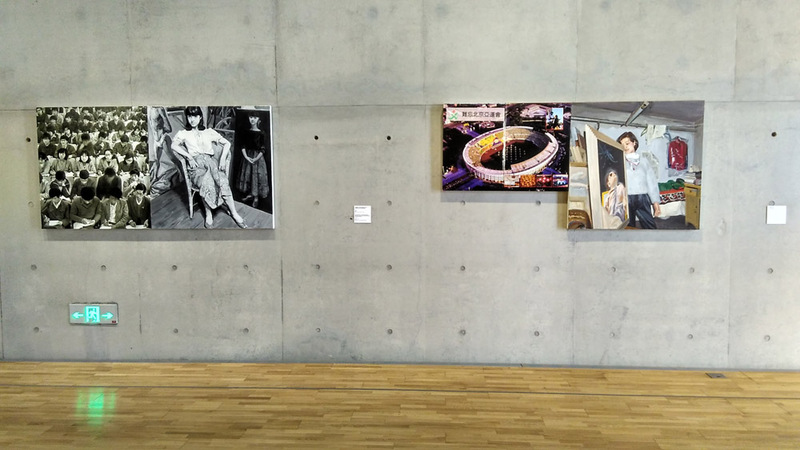 A large set of chronologically ordered portraits of her and her daughter juxtaposed with newspaper articles displayed the rather large size of her ego. 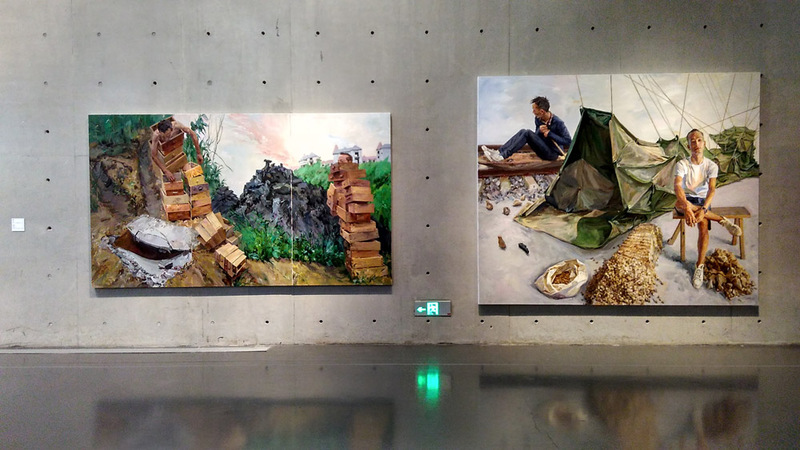 Yu Hong’s husband is Liu Xiaodong, a well-known Chinese painter with a slightly related line of work (everyday scenes of contemporary China). 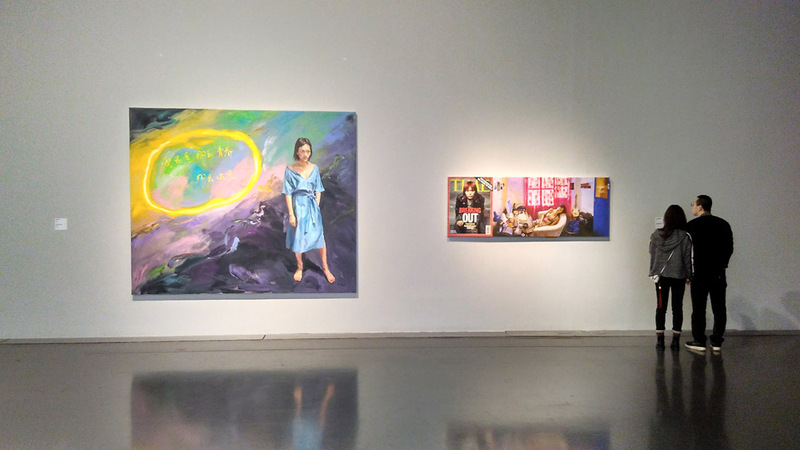 An oil-painted self-portrait in front of a Liu Xiaodong Düsseldorf exhibition banner from last year was part of the self-portrait series on display. Yu Hong’s “Witness of Growth” is a series of chronologically ordered oil painted self-portraits juxtaposed with newspaper clippings from the same time period.